Memory Cleaner allows you to setup an automatic cleaning of your inactive memory. To enable this function you will need to change the settings. In the right upper corner click the Settings icon → go to Preferences → and tick “Clean up memory automatically”. 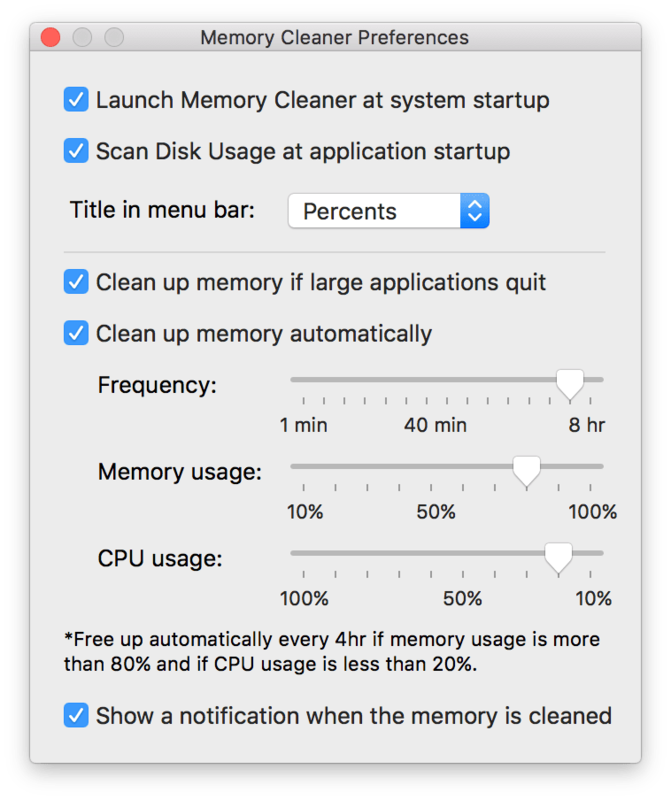 Here, in the preferences window, you can also choose the cleanup frequency of your choice and the scale that will be implemented in cleaning up your memory. The option “Clean up memory of large applications quit” should be enabled if you use auto cleanup. It will be useful to everyone who often uses such apps such as iMovie, iTunes, MS Word, Excel, and others.